Rewind to two days ago: I’m finally in. It’s 10 a.m. sharp on the Friday before the 90th Annual Academy Awards, and I’ve just made my way into Hollywood’s iconic Dolby Theatre—a setting which, come Sunday evening, will sparkle with statues, stars, and, more likely than not, a handful of tears. After an epic round of security (mind you, one can’t just up and walk into the Dolby Theatre in the days leading up to the show), thorough credentialing, and a quick debriefing from a very kind and patient press guide, I’m making my way through the Dolby’s backstage labyrinth-like system of hallways to talk all things beauty (and top-secret tips and tricks) with Bruce Grayson, the Oscars’ head makeup artist. Beloved by Hollywood (he’s been in the makeup industry for years, long before he began this gig 16 years ago), Grayson has a welcoming, kind, and cool-as-a-cucumber air that instantly puts me at ease. “[The security] is the hardest part,” Grayson laughs. “I mean, there’s probably more security here than there is at the White House. And I’ve worked for the White House. I used to be the White House makeup artist, and I can tell you, it’s just as hard to get into this building. And come Sunday, wrangling my staff of 20 makeup artists through credentials and into this building is without a doubt the hardest part of my job.” A telling statement coming from the man in charge of every inch of the Oscars backstage makeup magic, who leads a team of 20 (though some years it’s been as high as 40) makeup artists into battle. It’s this adrenaline rush (and the mountains of products, tools, and protocols) that I want to know about it. So as I follow Grayson into the performers’ makeup area, where he spends the majority of this time right up until the hour before the show (when he then transitions to the green room, also known as “The Makeup Cage”), I start asking my questions, gleaning every bit of wisdom I can from the man who knows everything there is to know about award-winning makeup application. Keep reading for the best Oscars backstage beauty secrets you’d only know from talking to Grayson (or reading our exclusive interview, of course). Unbeknownst to me (I initially and naively thought all makeup was done in an off-the-wings green room), there are actually two main areas for makeup application and touch-ups. The basement (pictured above two days pre-show before the full flurry of artists and products) is solely reserved for the performers in charge of the dance and musical numbers throughout the show. (Fun fact: Grayson tells me the cast of Les Misérables was crammed in the year they were nominated, and Hugh Jackman is ever the ring leader you’d hope and expect him to be), and then there’s the green room. Additionally, there are makeup artists stationed right off stage to intercept the celebrities immediately if they need a touch-up. And of course, Grayson buzzes from spot to spot, makeup kit in tow. According to Grayson, under-eye concealers are paramount when it comes to backstage beauty fixes—especially in anticipation of the inevitable tears. “For concealers, I love a creamy consistency because it will move and be malleable. (Picks like Laura Mercier Secret Concealer, $27, Secret Camouflage, $35, and MAC Studio Finish, $21, are always on hand.) However, it’s a problem if someone comes to me wearing a matte foundation or concealer because then they won’t budge on the face,” he chuckles. “You can’t touch up a matte concealer with something that’s creamy, and if someone starts to cry with a matte concealer on, well, that’s going to require a complete redo. 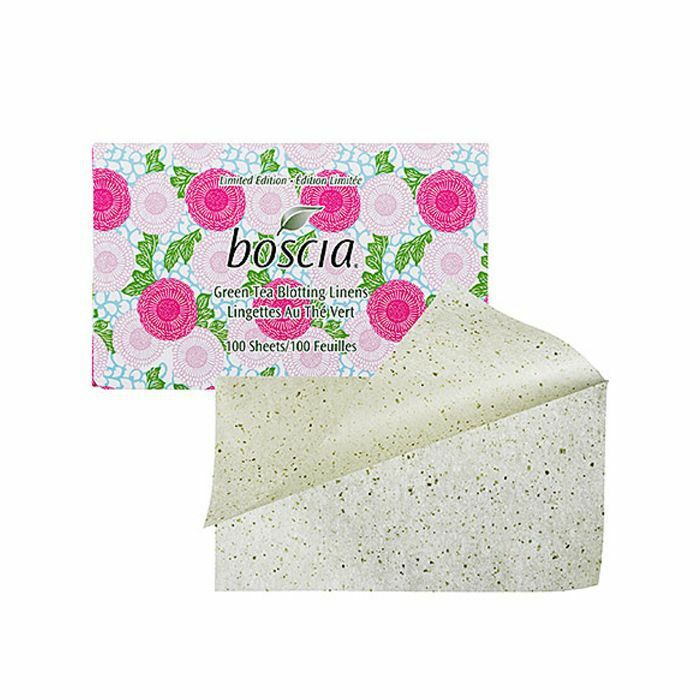 “First, I try to get up as much moisture as possible—whatever is sort of falling off the face—and then I’ll go in with something creamier on top. If I need to do the face in addition to the under-eye area, I like Giorgio Armani Luminous Silk Foundation ($64) and the Power Fabric Longwear High Cover Foundation ($64), which is longer-lasting. 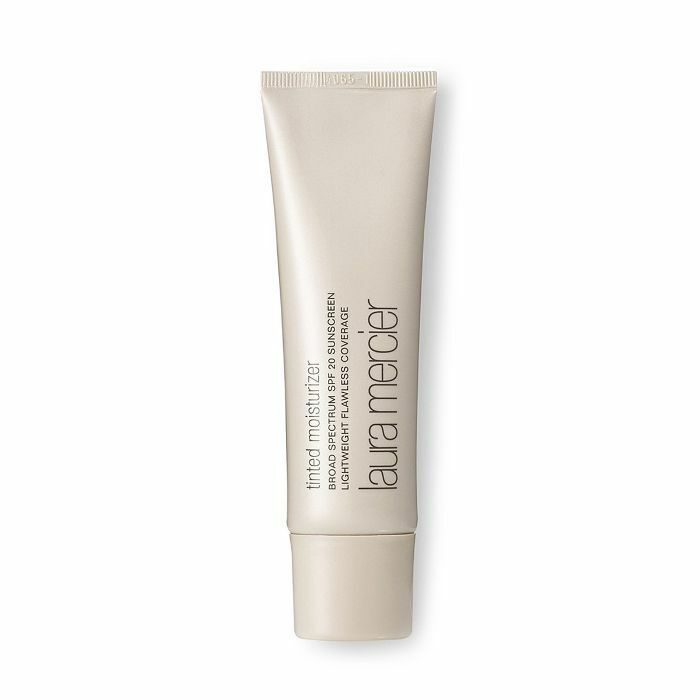 I also like La Mer Soft Fluid Long Wear Foundation ($110). It’s one of the most malleable foundations, and I love the color range.” Helpful advice for next time you attend a wedding or tear-jerking matinée, no? They’re artists, after all, so it’s not necessarily a steep venture to assume that some makeup artists are cautious when it comes to someone else touching their client’s makeup hours later. And as Grayson confirms, that kind of resistance happens all the time. “There are definitely some makeup artists who tell the celebrities not to let anyone touch their face. And that’s fine! But the thing is, on show night, we know what the auditorium lights do and what HD does better than anybody. So if I see somebody who is wearing a luminous foundation and then a cream highlighter on top of that and then a shimmer highlighter over that, I ask them if they’d rather go out on the stage looking glowy and dewy or looking like a headlight. 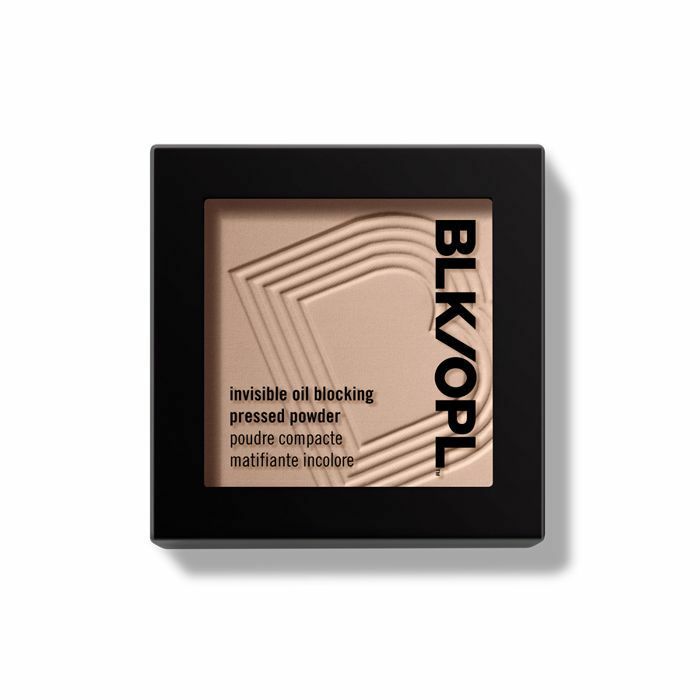 “One of the products that I think is probably the single most used for touching up makeup is Black/Opal Invisible Oil-Blocking Pressed Powder ($10). It’s an invisible oil-blocking powder and works as amazingly well on deeper skin tones as it does on lighter. It never turns ashy, and all 20 of my makeup artists will have one of these on them on Sunday night,” Grayson shares. Bright lights, glare, HD cameras—it seems like it would be virtually impossible to create a natural makeup look that simultaneously boasts staying power. However, according to Grayson, it’s all in the application. “It’s all about layering, but layering in light stages. That way, the makeup artist on site can take care of a celebrity and provide touch-ups that will look natural. The heavier the makeup, the harder it is to touch up.” His secret: Wear enough makeup to get you through the red carpet, but not a touch more. “You have to be careful. 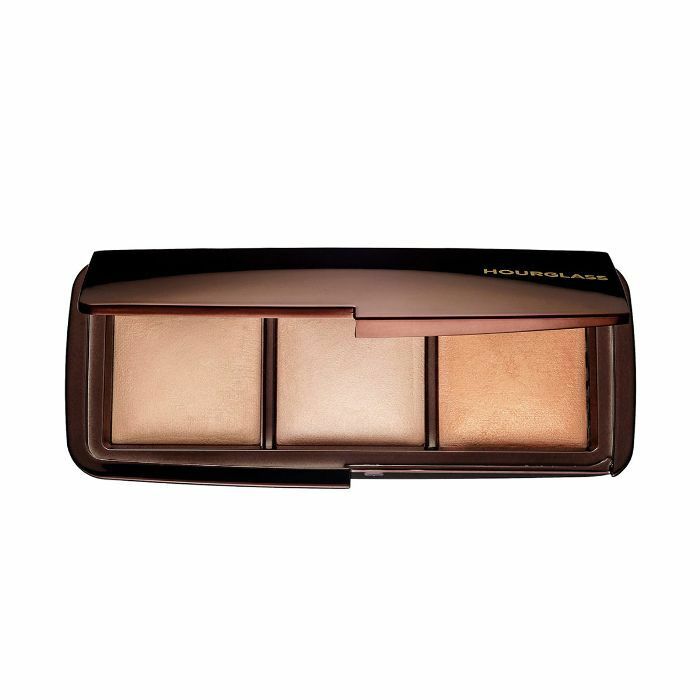 I mean, I love the Hourglass Ambient Lighting Palette ($62) because the formula is subtle and not over the top. Some of them are just too showy. I always say that if you have great skin and have natural glowiness or dewiness, then employ that skin in the makeup,” recommends Grayson. “It’s always going to look like a synthetic highlighter sitting on top of your skin if you use something too fussy.” Remember Grayson’s headlight analogy from earlier? When I ask Grayson if he’s formed any special bonds with actresses over the years, he’s quick to iterate that he and some of his core team members have been with certain celebrities for years, through thick, thin, and, yes, plenty of nerves. “You know, Kate Winslet will walk into the room, she’ll look at my team upstairs in the green room, and she’ll say ‘Boy, am I glad you guys are here.’ We’ve been with her since Titanic. It’s special. You know, you always see the same people—Reese, Salma, and sometimes our job is just to make sure they feel good about themselves or to hand them something that they can do on their own. Because really, there is nothing more comforting to an actor or actress who has spent their entire life on movie sets than taking a powder to their own face and doing it themselves. It calms them down. We’re just there to hand them things. “To this day, my favorite part of the job is still having the opportunity to be a fly on the wall upstairs in that green room. You know, Penelope Cruz might have a slight wardrobe malfunction up there, and she’s talking to Reese Witherspoon about kids. You just have to remember that they’re normal people. They’re just like you and me, and it’s a community. The Oscar race begins in October of last year. It’s like an election! A lot of them have run the race, and this is the final stop. So if they’ve made it this far, it’s pretty amazing. So who are Grayson’s leading ladies who consistently nail their makeup game? Keep scrolling for some of his all-time favorite women (in his own words). “Jennifer Lopez has re-created herself more times for this particular millennium than anyone has ever done in history. She does it with beautiful subtleness, and then if she does go for something that’s a little bit outrageous, it’s never too outrageous." One of Grayson’s all-time all-stars? Actress Taraji P. Henson. “She absolutely always gets it right,” he says of Lupita Nyong’o. To get your full red carpet fix, check out the 21 most inspiring beauty looks at this year’s Oscars.